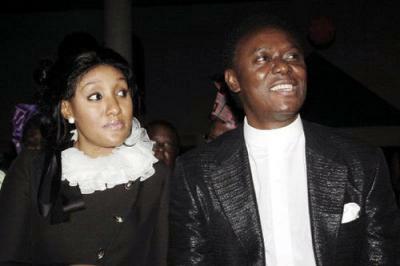 Yimiton's Blog: Did Chris Okotie actually refer to his ex-wife Stephanie as 'Jezebel'? Did Chris Okotie actually refer to his ex-wife Stephanie as 'Jezebel'? I heard this gist going around from members of Chris Okotie's church and wondered if it's true. I mean, why does he have to wash their dirty linen in public? Besides, didn't he say from the beginning that they won't be talking about this break up? During the Sermon in Household of the God Church on Sunday, 12th August, Pastor Chris Okotie seemed so vexed and embittered that he verbally attacked his ex- wife. With much vehemence in his voice, he compared her to Jezebel in the Bible and said he had the liberty to judge her because he had greatly suffered in her hands while they were still married. He also gave her the liberty to go to CNN or BBC and talk about him if she so wishes and concluded that under no circumstance will he ever take her back. This report was by members of his church who attended the service. It was reported that he spoke about her with so much bitterness that they wondered what she could have done to him. Meanwhile, I hear that he has retrieved the 2 cars he bought for her while they were still married. A Benz S class and a BMW X6.